It is recommended that all travelers have a valid passport that will not expire for at least six months after arrival to Costa Rica in order to participate in a Costa Rica Escapes program. 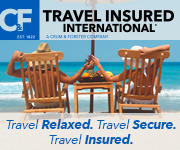 Travelers’ passports must be in good condition for them to be excepted in Costa Rica. Make a copy of your passport to keep at home and to send to Costa Rica Escapes to have on record in case a passport goes missing. To apply for a passport (or renew) go to US Department of State. Then click on the “Passports” button and follow directions according to your needs. Start this process as soon as possible, because it can take weeks to get your passport. Every traveler not coming from the Americas or a European Union country should consult the following Costa Rican information web site to ensure that they meet current immigration requirements. According to CostaRica.com, American citizens are not required to have a visa to enter Costa Rica.